1. Powered by a rechargeable battery. No Gas/Fuel Is Required. 2. Can be charged by using USB Slot and does not need fill any fuel into it. 3. 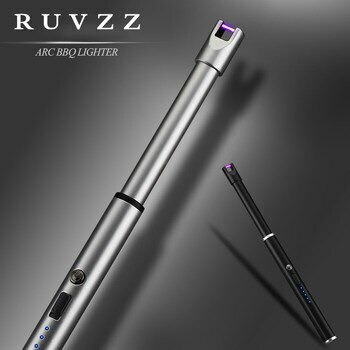 Does not create a flame, it is electrically operated and environmentally friendly. 4. 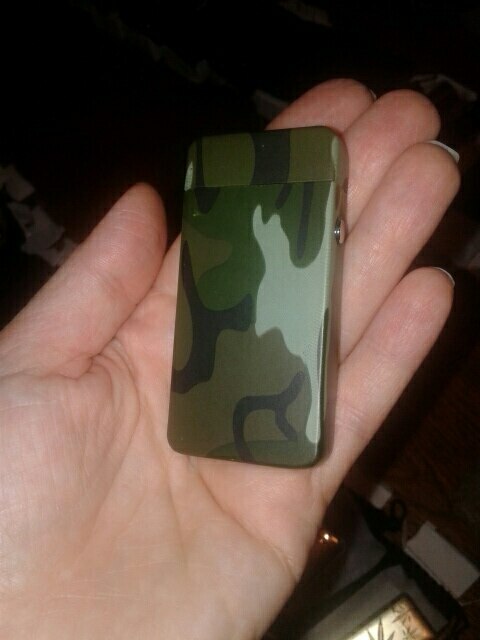 Uses intense heat to light cigarettes. 5. Lights a cigarette in any weather. 6. No need USB cable, so it is very convenience. 12. The initial use of long periods of non use, connect the charger, then disconnect and reconnect the charger. After fully charged immediately disconnect the power source. 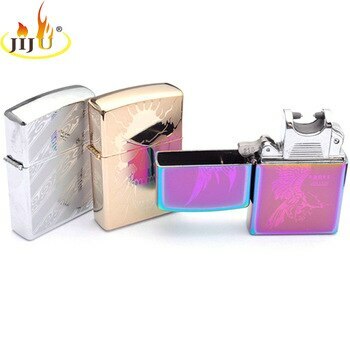 Note: due to the production and logistics, no cigarette lighter gift box packaging.If you need to add the gift box, please contact our online customer service.Happy shopping! Q:If there were no electricity.How long does it need to charge? 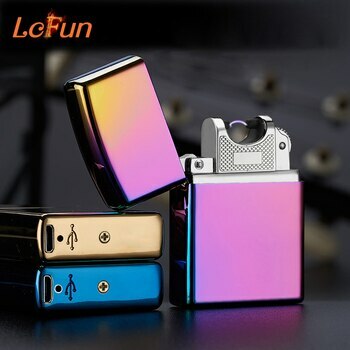 A:Lighter never to the end of the charging, need only three hours. A:As long as you can insert the USB.You can charge. Q:When is the best time to charge? A:Lithium-ion batteries have no memory, in use can recharge.There is no need to wait until no electricity to charge, power cuts can also be used. Q:If power saturation.How long can use? A:Usually, can ignite 100 cigarettes. 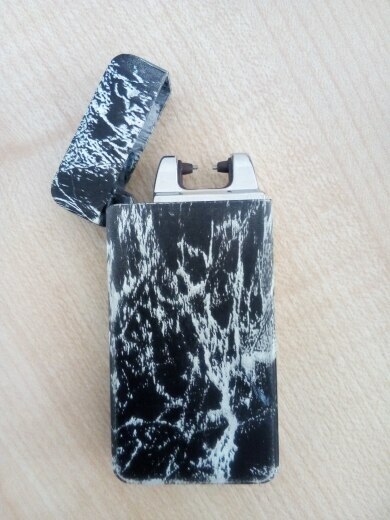 Q:Because this lighter is to use battery power, voltage is very low.The heating wire fever will slow? A:Due to internal circuit’s unique design and selection of electric heating wire material, start switch after the smoke near the heating wire at the same time.At the same time of smoke close to the heating wire, heat enough to ignite the smoke from the heating wire. Q:What’s need to pay attention to the problems in use? A:Please do not put the lighter in water or other liquid, because can lead to short circuit.Due to cigarette smoke need to contact heating wire, so do not force oppression heating wire.If you have tobacco into the heating wire, please clean up in time!This is helpful to extend the service life of a cigarette lighter.Disappear when electricity, heating wire fever will slow down.In a timely manner, please recharge! Зажигалка приехала в Ростов-на-Дону за месяц . Тяжеленькая) Ровное покрытие, в руке приятно лежит, зажигается маленькой кнопкой сбоку. 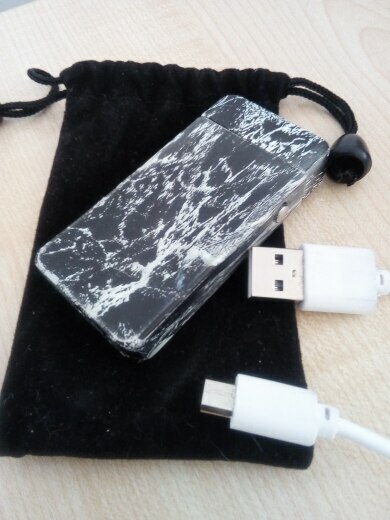 Заряжается шнуром с micro usb, шёл в комплекте короткий, использую свой. Подарила зажигалку другу. 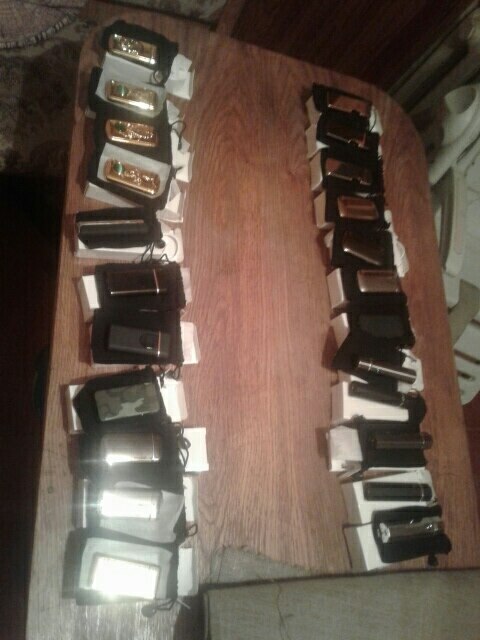 Он доволен.